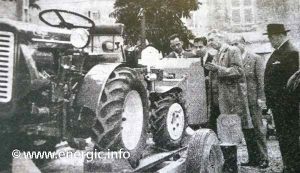 Energic agricole show 1958 with Mr A Patissier presenting/demonstrating the 511/2 tracteur on the stand. 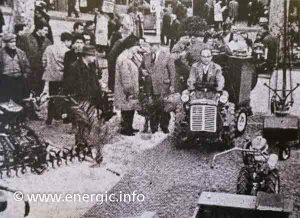 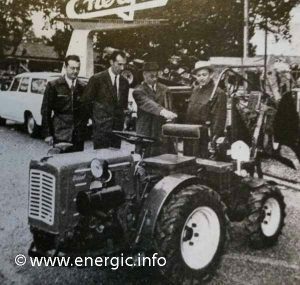 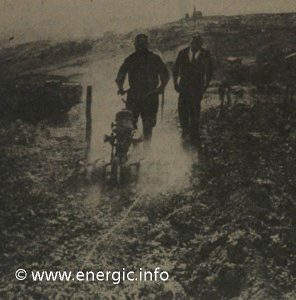 Energic agricole show 1962 demonstration 75 MVR. 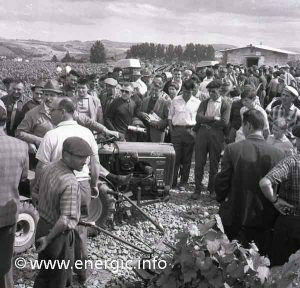 The 3 photo’s above are for the unveiling and demonstartion of the 4RM 18 at the “lors du Comice Agricole de Juliénas (Rhone)” in 1962. by Ets Patissier director M. Nain. 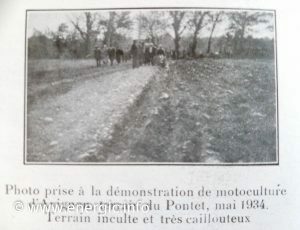 (frog eye type 4RM). 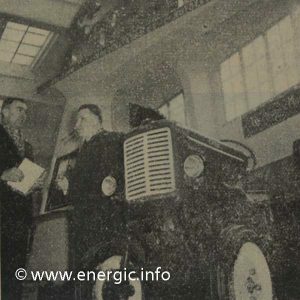 Energic Treul 409 9cv demonstration 1960. 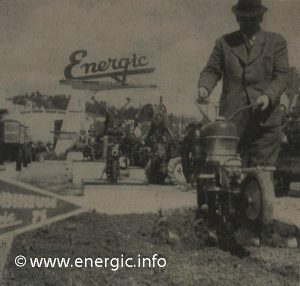 Energic Motobineuse being put through its paces at trial in 1961. 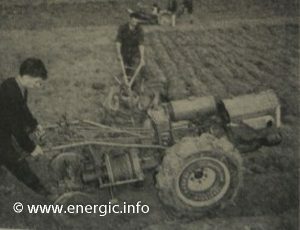 Energic 511 tracteur mark 2 demonstration work 1961. 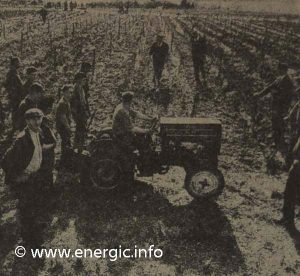 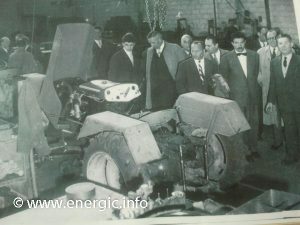 Energic demonstration 4RM 18/12 tracteur range in the vines (1960’s). 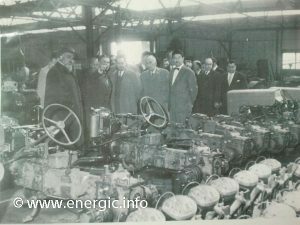 Mr A Patissier personally took guided tours around the large complex. 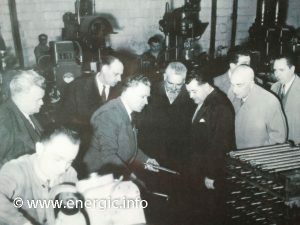 Introducing press, agents, customers to the Energic culture.He took a huge amount of pride in his work force, equipment, products and factory. 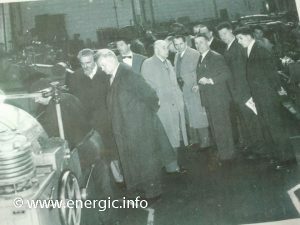 Energic Factory tour in the 1950’s by Mr A Patissier.